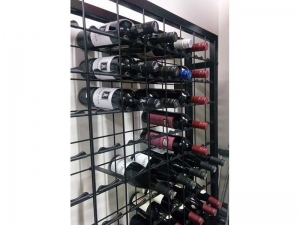 Wine Bottle Protection Clips protect the label and centre the bottle necks for that "perfect" look. They simply clip over the mesh in our racks. 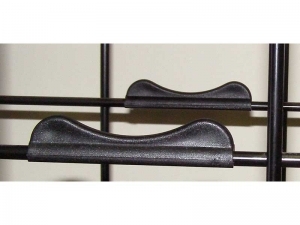 Black clips are suitable for powder coated racks. 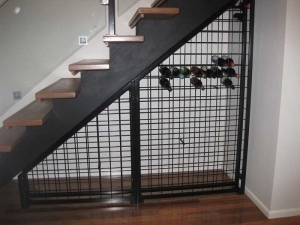 If you have galvanised steel racks - Grey clips are available. 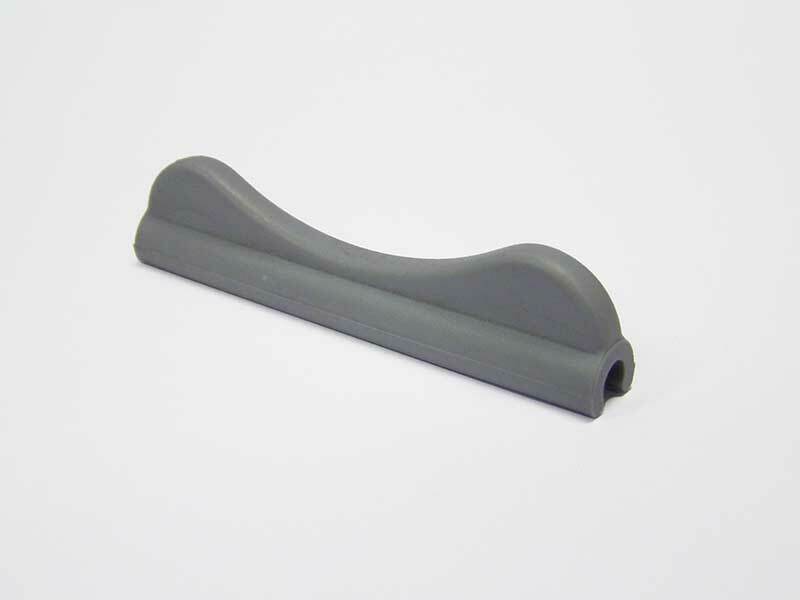 Wine Bottle Protection clips come in black (for powder coated racks) and grey (for galvanised racks). 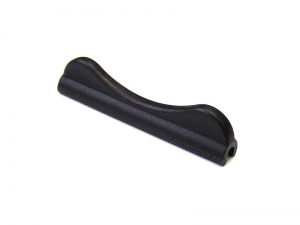 They are manufactured from high density polypropylene and will last in excess of 20 years. 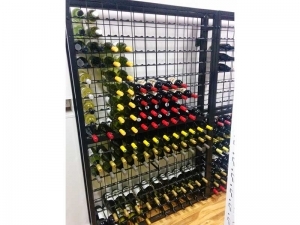 They locate the bottles in the middle of each "bay" aligning the bottles so you get a perfect pattern of bottle enhancing the look of your Connoisseur Wine Cellar Racks.